Miss Carbon County’s Outstanding Teen Eminie Elliott received a energetic send off to the state pageant during an event on Saturday afternoon. 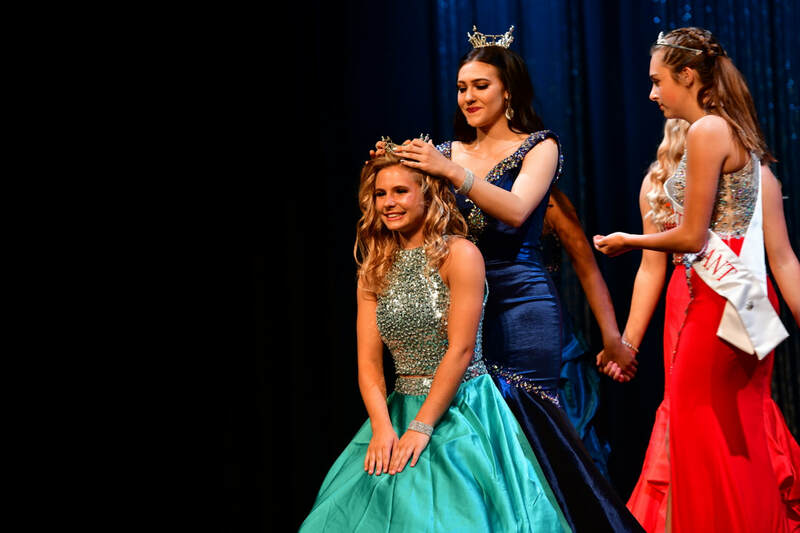 Each year, a party is hosted not only to wish the county’s outstanding teen luck, but also to give the community a preview of the contestant’s preparations for the pageant. 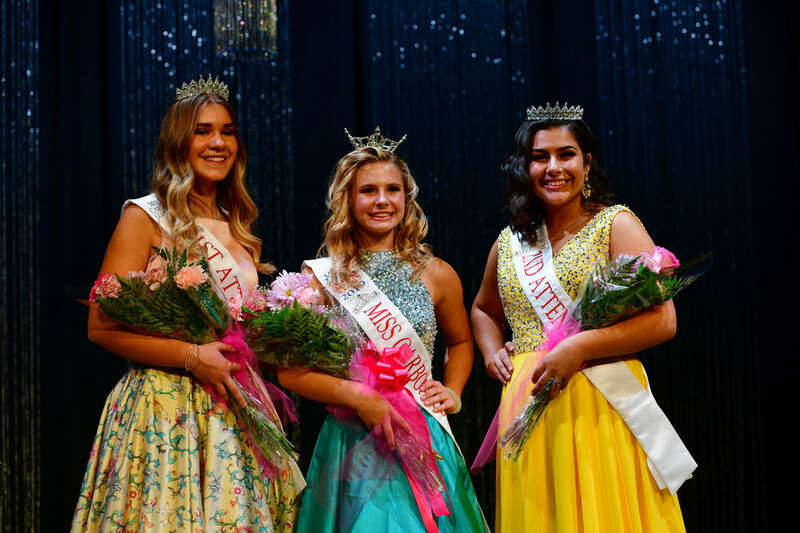 This year, Elliott took to the stage with other Carbon County Royalty as they displayed their talents and progression throughout the past months. Friends, family and members of the community were welcomed to Mont Harmon for the event. Elliott will join nearly 40 other young women from throughout Utah in the Miss Utah’s Outstanding Teen Pageant on Saturday, March 2. The event will take place at the Covey Center for the Arts in Provo. Miss Carbon County 2019 Crowned! The Miss Carbon County pageant was hosted on Saturday evening 10/13/2018 at Mont Harmon Middle School. 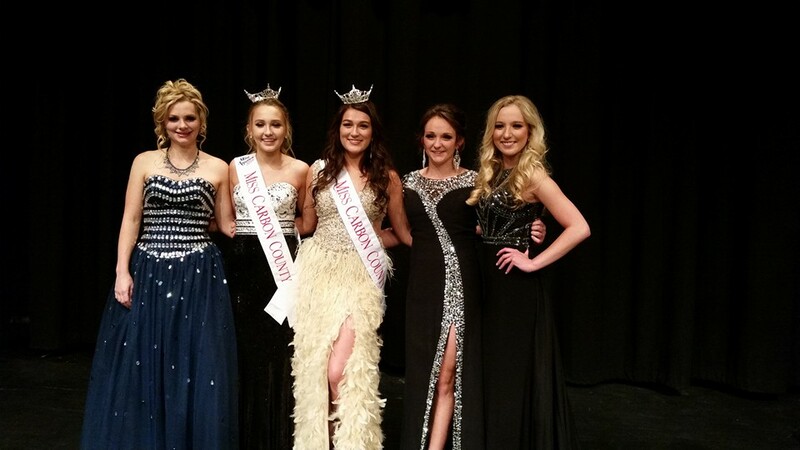 There were five young women who competed for the Miss Carbon County title and scholarship. The contestants had an introduction routine to show the judges who they are. They then participated in a swimwear portion to show confidence and elaborate on how they like to stay fit and healthy. Then, these girls showed off their talents. A few of them did dance solos and the others showed off their musical skills. The audience then had the opportunity to hear Miss Utah, Jesse Craig, perform her talent of playing an original piece on her violin. The next portion of the pageant was evening wear and the onstage question, written by fellow contestants, and a question about their platforms. Then, the judges had made their decision. First attendant was awarded to Zaharah Rossi and Gracie Steele was crowned Miss Carbon County 2019. Steele told the organization that she is excited and feels very blessed to have the opportunity to serve her community. Her platform is called “KICK the Addiction.” According to Steele, she noticed the opioid epidemic here in Carbon County and wants to get as much information about her platform into the community as she possibly can. 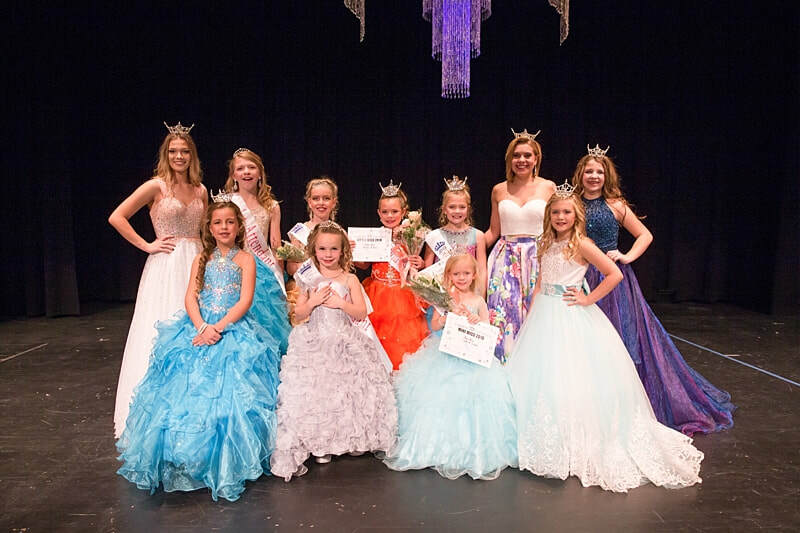 The new Carbon County royalty of 2019 consists of Mini Miss Darbee Montgomery, Little Miss Burcklee Brady, Junior Miss Tatum Tatton, Miss Outstanding Teen Eminie Elliott and Miss Carbon County Gracie Steele. 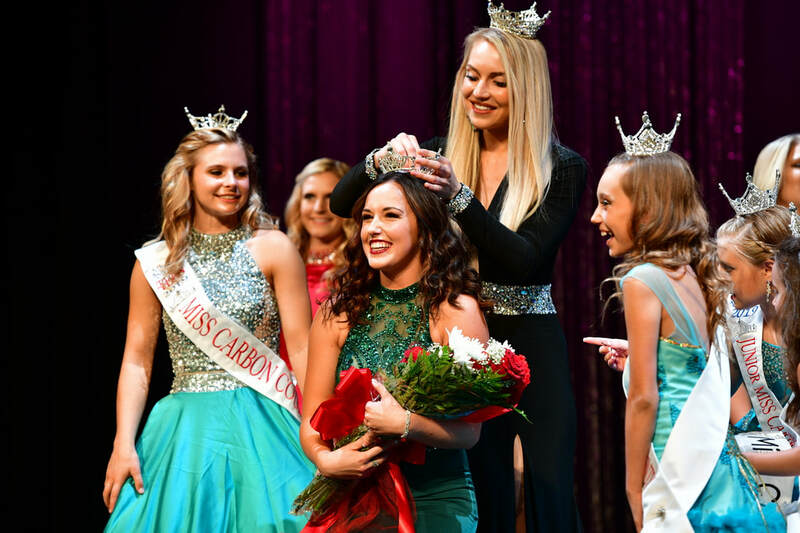 Miss Carbon County's Outstanding Teen 2019 Crowned! On Saturday afternoon 10/13/2018, the annual Carbon County’s Outstanding Teen pageant was hosted at Mont Harmon Middle School. There were seven contestants. They all had to show the judges a fitness routine and write a summary about how they stay fit and healthy. The next objective these girls had to display was their talent. There were a few dances, some singing and musical offerings. After these ladies presented their talents, they donned gowns for their onstage questions. Each contestant wrote a question for another to answer. They were also asked a question about the platform they had each chosen. Then came time for the crowning of the Miss Carbon County’s Outstanding Teen Royalty. MaKinzey Cross received the second attendant title, Brinlee Evans was announced as first attendant and Eminie Elliott was crowed as queen.Elliot said that she is excited to promote her platform: Keep the Beat and Move Those Feet. She wants to promote the community and local schools about keeping their hearts healthy. Elliott will be serving this year along with the new Mini, Little and Junior Miss, who were crowned last Saturday. She was also involved in the Miss Carbon County pageant that was hosted shortly after she herself had been newly crowned. 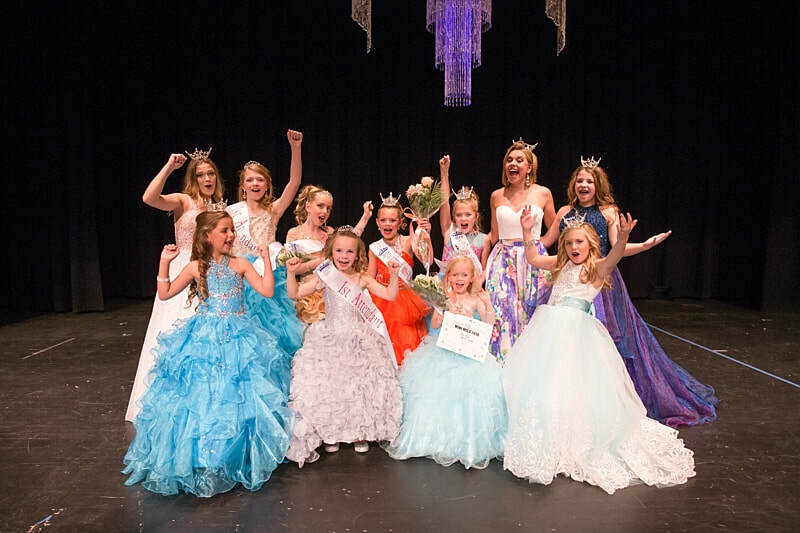 Mini, Little & Junior Miss Carbon County 2019 Crowned! 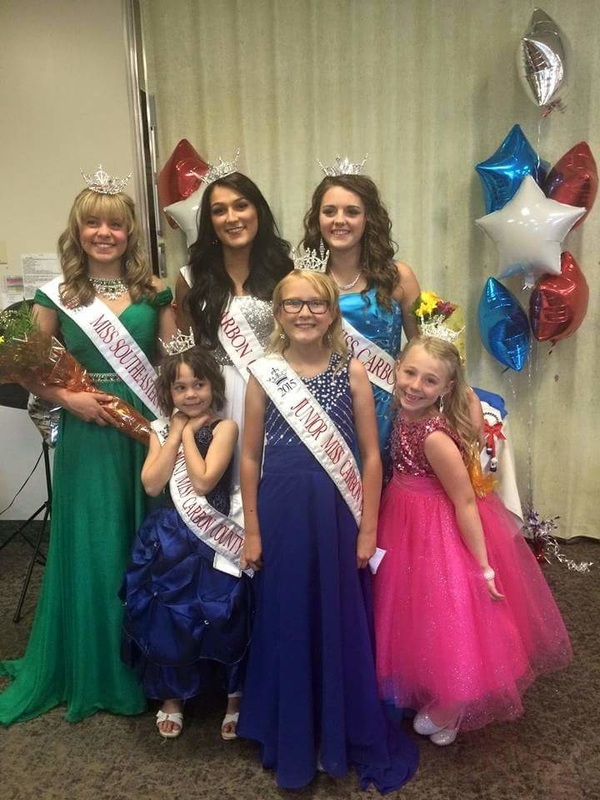 Carbon County’s Mini, Little and Junior Miss Pageant was hosted on Saturday 10/6/2018 at Mont Harmon Middle School as young ladies competed for the respective crowns in front of friends, family and members of the community. 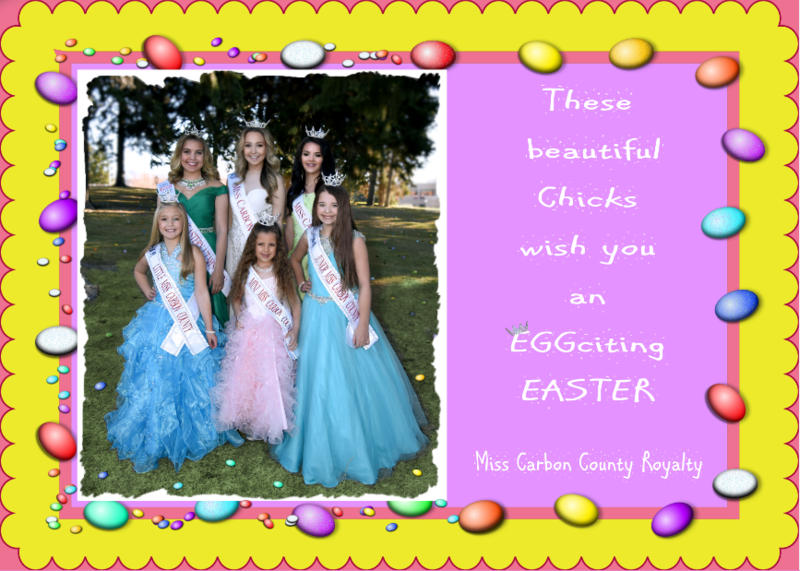 There were five contestants in the Mini Miss Carbon County category, including Darbee Montgomery, Evey Leonard, Mckenna Smith, Berlynn Axelgard and Paizley Olsen. There were only two contestants for Little Miss Carbon County, Pyper Frandsen and Burklee Brady. 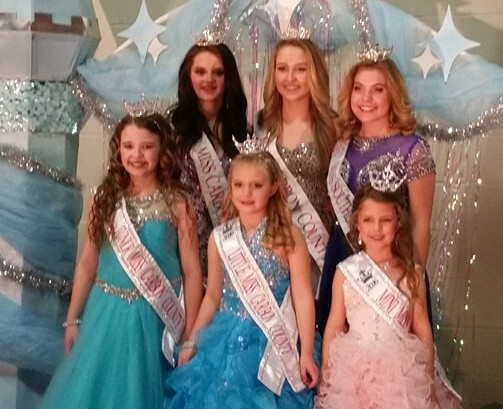 In the Junior Miss Carbon County category, Ivy Beecher, MaKiley Cross, Italia Dunn, McKlain Lowe, Lillie Williams and Tatum Tatton competed for the crown. Each girl had the chance to perform a talent, answer an on-stage question, and show off their outfit of choice and evening wear. Their talents ranged from dancing to singing and more. In addition, the girls competing for the Junior Miss Carbon County title had to create an idea for a day of service to the community. In the end, the girls all stood together to await the results. 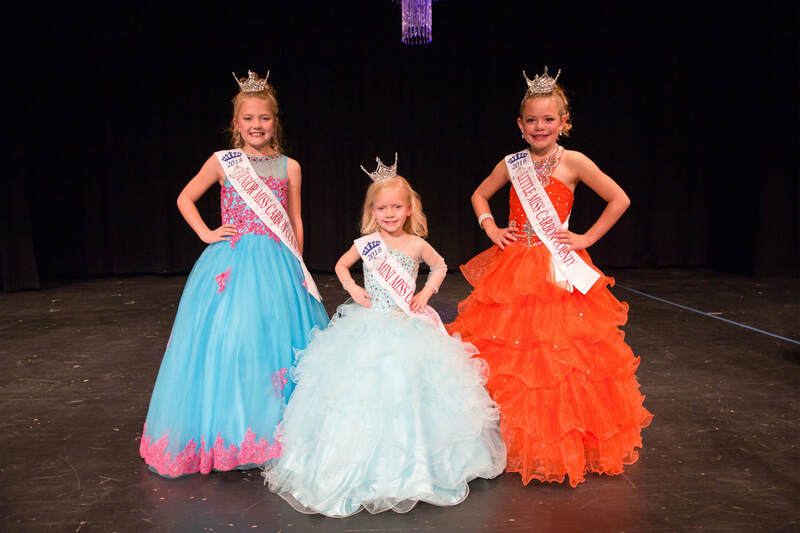 Darbee Montgomery received the Mini Miss crown, Burklee Brady was crowned Little Miss and Tatum Tatton earned the Junior Miss title. ​Miss America is scrapping its swimsuit competition and will no longer judge contestants based on physical appearance, the organization announced Tuesday. ​"We are no longer a pageant," Gretchen Carlson, the first former Miss America to be named chair of the Board of Trustees of the Miss America Organization, said on "GMA." "We are a competition." In place of the swimsuit portion of the competition, Miss America contestants will now take part in a live interactive session with the judges, according to the organization. The contestants from all 50 states and the District of Columbia will be asked to demonstrate their passion, intelligence and overall understanding of the job of Miss America. ​The organization is also getting rid of the evening gown portion of the competition and instead asking contestants to wear attire that makes them feel confident and expresses their personal style. The contestants will also discuss how they will advance their chosen causes, called "social impact initiatives" by the Miss America Organization. "We’ve heard from a lot of young women who say, ‘We’d love to be a part of your program but we don’t want to be out there in high heels and a swimsuit,’ so guess what, you don’t have to do that anymore," Carlson said. "Who doesn’t want to be empowered, learn leadership skills and pay for college and be able to show the world who you are as a person from the inside of your soul." She continued, "That’s what we’re judging them on now." ​In addition to being crowned Miss America in 1989, Carlson has more recently been an outspoken advocate for victims of sexual harassment and a champion of the #MeToo movement. In 2016, she settled a lawsuit against former Fox News Chairman and CEO Roger Ailes, who stepped down from his role after mounting pressure from additional employees with similar accusations. "I could have never expected what would happen when I sued my former employer at Fox News for sexual harassment 22 months ago, but look what has happened," she said. "Thousands of women have been inspired to know that they can stand up and speak up and their voices will be heard." Carlson added, "If I’ve been a beacon of hope to any woman in that process, it has been worth it." The sweeping changes to Miss America aim to help the organization be more inclusive and empowering for all women. Carlson also said that she hopes the revamped competition will resonate more with young people. "We are now open, inclusive and transparent and I want to inspire thousands of young people across this country to come and be a part of our program," she said. "We want you and we want to celebrate your accomplishments and your talents and then we want to hand you scholarships." The Miss America organization courted controversy earlier this year when internal emails were released from the group's former CEO Sam Haskell. In the leaked emails, Haskell, who later resigned, and others were insulting the appearance, intellect and personal lives of former pageant winners, including Carlson. Carlson is now part of an all-female leadership team at Miss America. "This is a new beginning and change can sometimes be difficult but I know a lot about change," she said. "My life has worked in mysterious ways. I never thought I’d be the chairwoman of the Miss America Organization, but here I am and we’re moving it forward and we’re evolving in this cultural revolution." ​The 2019 Miss America Competition airs live on ABC on Sunday, Sept. 9, at 9 p.m. EST. 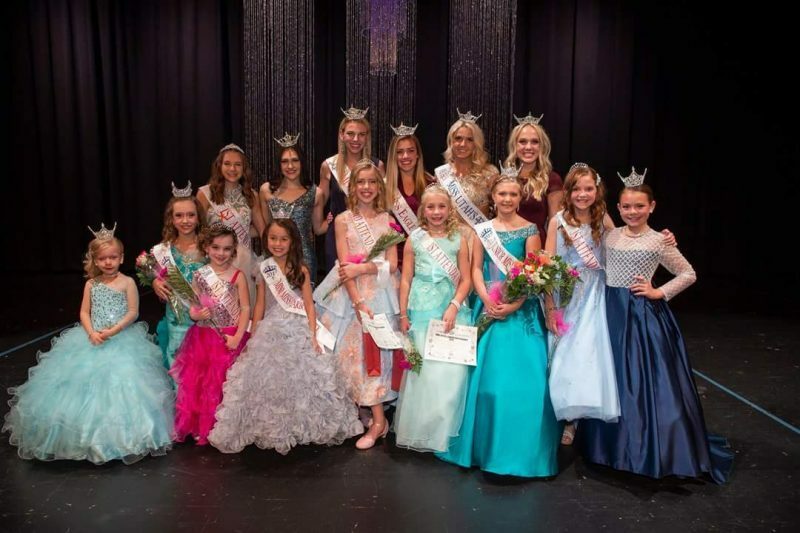 14 girls took the Mont Harmon Middle School stage to compete for the titles of Miss Carbon County's Outstanding Teen and Miss Carbon County. Each pageant had varying awards besides the crowned royalty titles. The awards included People’s Choice, Director’s Award, Most Photogenic, Amazing Fundraiser, Miss Congeniality, Miracle Maker and Top Ticket Sales. 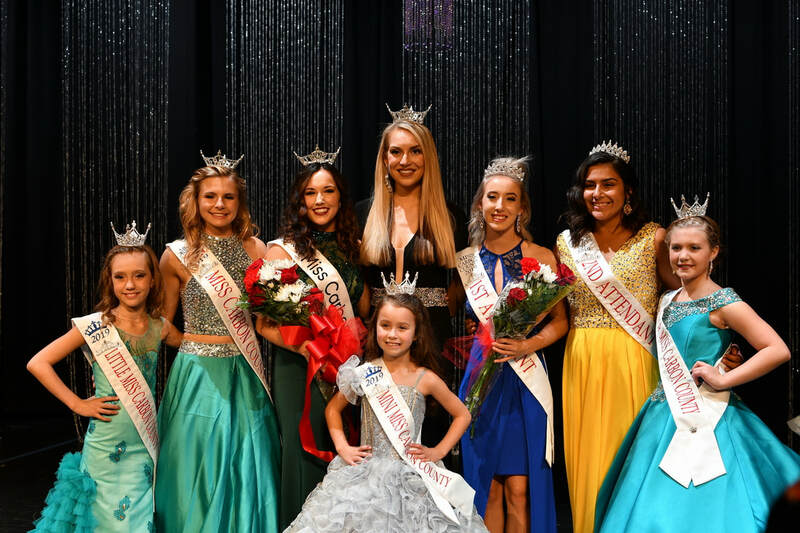 The Miss Carbon County's Outstanding Teen pageant began in the early evening with seven hopeful contestants competing for the 2018 title. MaKinzey Cross, Cami Taylor, Skylynn Basso, Kaylie Basso, Eminie Elliot, Wynter Pendray and Rosie Wichmann. Elliot was awarded the People’s Choice Award while Wichmann was awarded Miss Congeniality. Skylynn Basso walked away with two awards, Top Ticket Sales and the Amazing Fundraiser. Cross took home the Most Photogenic Award and was crowned second attendant ($175 Scholarship). Kaylie Basso was crowned first attendant ($250 Scholarship) and was also awarded the Director’s Award. Crowned as Miss Carbon County's Outstanding Teen 2018 was Wynter Pendray ($600 Cash Scholarship & $500 USUE Scholarship). The Miss Carbon County pageant began later that evening. 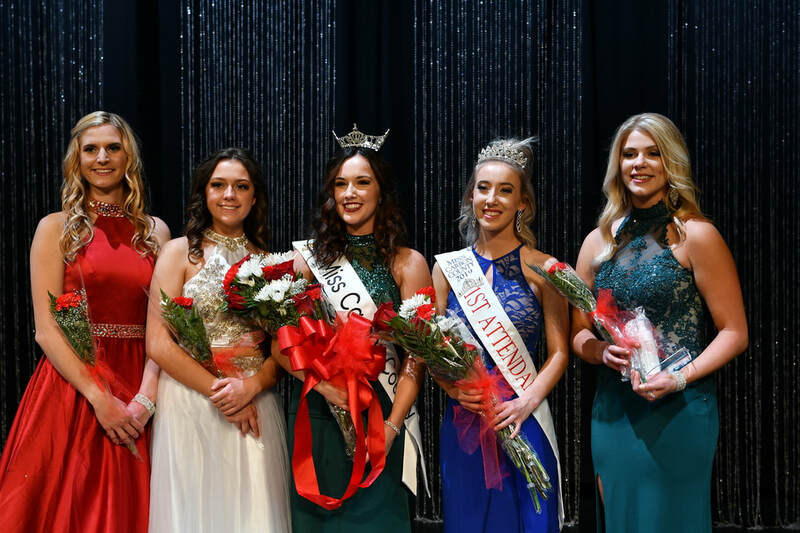 Contestants in this year’s pageant were Gracie Fausett, Rylee Hussey, Allie Sherman, Mikelle Monson, Cherish Vigil, Ashley Leataud and Riley Winn. Fausett walked away with the People’s Choice Award that evening. Winn was crowned as second attendant ($580 Cash Scholarship & $500 USUE Scholarship) and received the Miracle Maker Award and Miss Congeniality awards. Leautaud was awarded the Director’s and Amazing Fundraiser Awards, as well as crowned first attendant ($850 Cash Scholarship & $500 USUE Scholarship) . Crowned Miss Carbon County 2018 was Mikelle Monson ($1500 Cash Scholarship & $1000 USUE Scholarship). Monson was also awarded the Most Photogenic and Top Ticket Sales awards. Pageant director Kylie Howes was impressed with the overall outcome of the night. Contestants participated in various categories, including interview, photogenic, outfit of choice/athletic wear, talent, on-stage question and formal wear. In addition, there was also a Glass Slipper Award for each category. The Glass Slipper award was presented to the girls who collected the most shoes to donate to citizens in need in Africa. In the mini division, the Most Photogenic award went to Darbee Montgomery. Sadie Fe Oveson won the Glass Slipper Award, having collected a total of 225 pairs of shoes. Evey Leonard walked away as first attendant while Sadie Fe Oveson was crowned as the Mini Miss Carbon County of 2018. In the little category, Burcklee Brady won the Most Photogenic award. Megan Roberts won the Glass Slipper Award for her category, collecting 182 pairs of shoes. Megan Roberts was crowned as 2018 Little Miss Carbon County. The junior category took home many awards throughout the evening. Annika Monson was awarded the Most Photogenic award while Marisa Oveson won the Glass Slipper Award. Oveson collected a total of 142 pairs of shoes. Second attendant in the junior category was Ivy Beecher while Marisa Oveson was named first attendant. Camryn Frandsen was crowned the 2018 Junior Miss Carbon County. The Miss Carbon County Pageant was held October 22, 2016 at the Civic Auditorium. 2016 Miss Carbon County Aajah Brienholt passed the crown on to the 2017 winner, Madison Burrola of Price. Burrola was awarded a $1300 cash scholarship, a $1000 USU Eastern Scholarship, and a $200 Children's Miracle Network Scholarship. She was also awarded the Lifestyle & Fitness in Swimsuit Award, Talent Award, and Service Award. She will represent Carbon County at the Miss Utah Pageant June 12th-18th, 2017. She performed a lyrical dance solo for her talent at the pageant entitled "Glorious". Her service platform is entitled "Mission I'mPossible: Choose Your Future". Crowned first attendant in this year’s pageant was Laini Davis. She performed a jazz dance solo entitled "Shake The Room" and her service platform is "No One Fights Alone: Cancer Awareness". Davis received a $750 cash scholarship, as well as a $500 scholarship to USU Eastern. She also received the People's Choice Award and Most Photogenic Award. ​Second attendant is Kiley Funk. She performed a lyrical dance solo entitled "Human" and her service platform is "Cross It & Click It". Funk received a $500 cash scholarship and a $500 USU Eastern Scholarship. She also received the Amazing Fundraiser Award and the Director's Award. 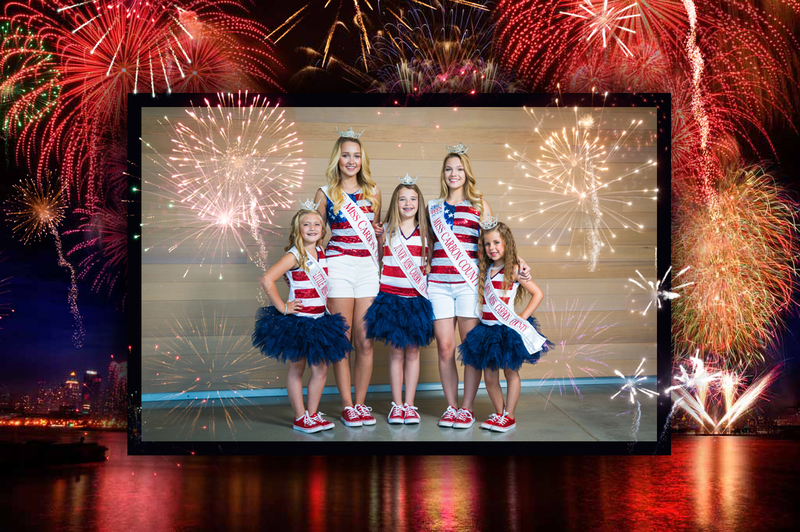 Happy 4th & 24th of July from your Miss Carbon County Royalty!!! The Miss Carbon County's Outstanding Teen 2017 Pageant was held June 11th, 2016 at the Carbon County Fairgrounds Event Center. 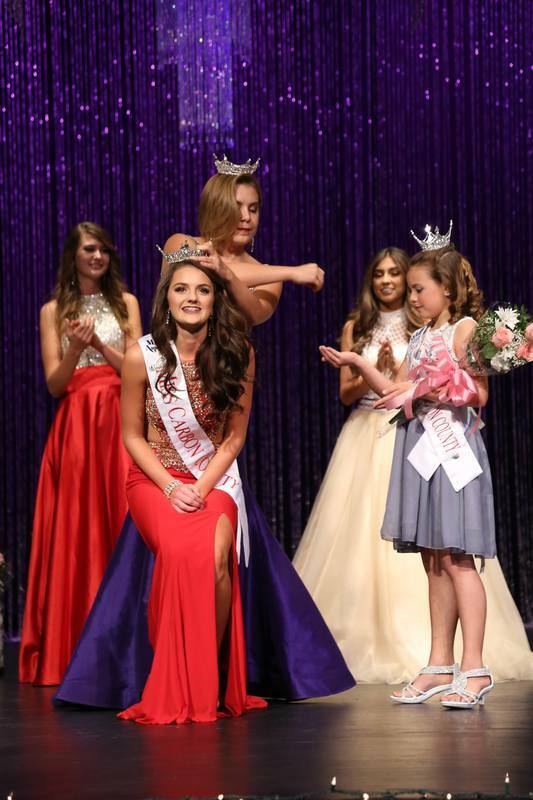 Honoring Miss Carbon County's Outstanding Teen Mikelle Monson & Miss Southeastern Utah's Outstanding Teen Madison Burrola and passing down their crown to one of the seven exceptional teens of Carbon County! ​We are SO PROUD of all those who competed this year! 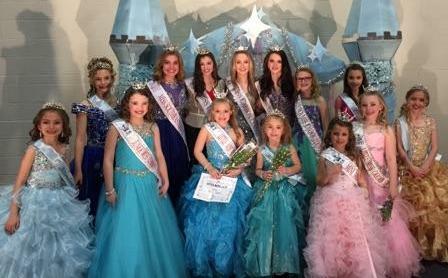 The Mini, Little, and Junior Miss Carbon County Pageant was held February 27th at the Carbon County Fairgrounds Events Center. 21 contestants competed for the title, played games with Miss Carbon County, decorated a picture frame craft, and took pictures with the Carbon County royalty. 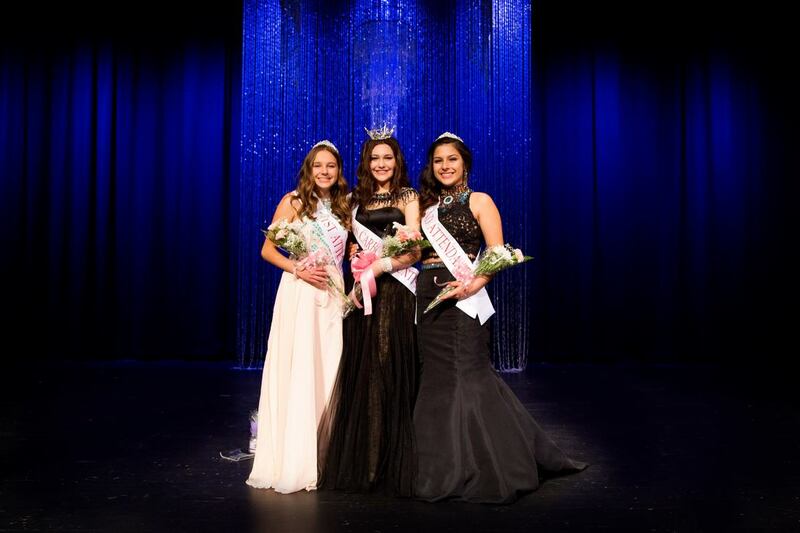 We had a special guest judge Miss Utah's Outstanding Teen Madeline Petitt. We raised 1649 pairs of shoes for Shoes for Love. Miss Carbon County 2016 crowned... Congratulations Aajah Breinholt! 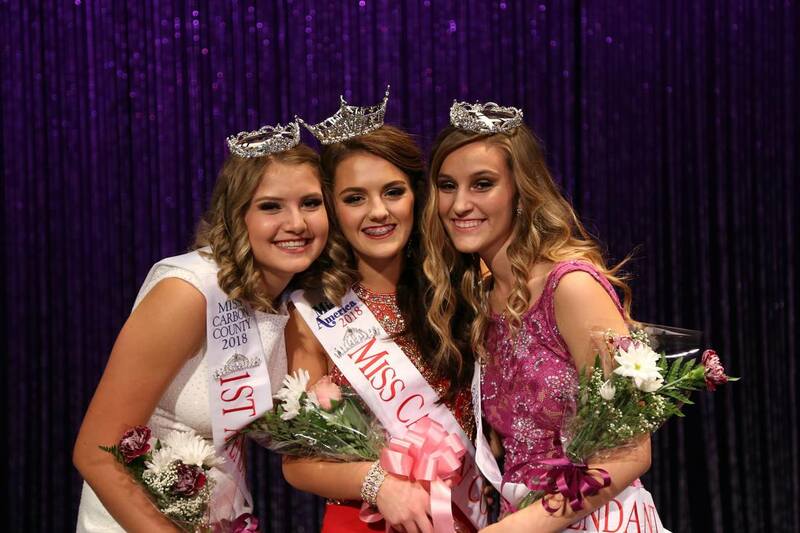 Two Outstanding Teen Title Holders Crowned 6/11/15. Mikelle Monson and Madison Burrola Welcome!